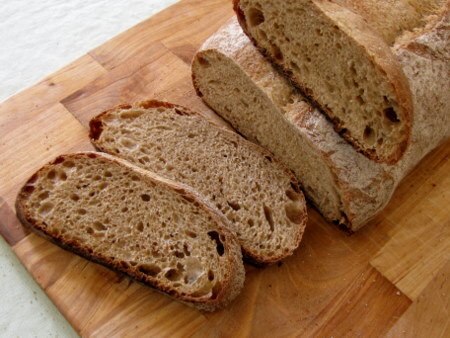 Mellow Bakers Beer Bread with Roasted Barley ~ I Can Do That! I meant to go mellow this month intending to bake just one bread but I got suckered into baking Beer Bread with Roasted Barley. It's an interesting recipe because it requires roasting malted barley. Malted barley means soaking and sprouting the husked [or unhusked] barley, drying the sprouted grains then grinding to a fine powder. The result is a sweet tasting barley. I found a small packet of malt flour among the array of flours I have in my pantry (21 different flours so far), but reading the MellowBakers forum I got curioser and curioser and bought a 2-pound bag of peeled barley, cost is $1.99. I sprouted, roasted, and ground a quarter of a cup and used 2 tablespoons for half recipe. BTW, I ate a few roasted grains and indeed they were sweetish. For the beer, I used Guinness Extra Stout which is dark, malty, and has a caramel flavor. I don't drink beer and I can't stand its smell. I felt a bit ill inhaling it while handling the dough. 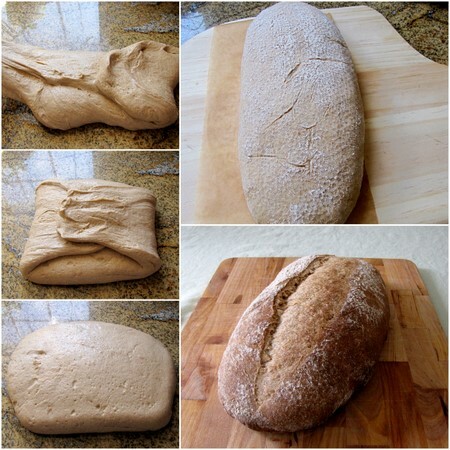 The dough was easy to knead but after the fold it became a little bit more slack. I was puzzled and wondered if that was even possible, maybe I was just intoxicated with the beer fumes. I was not expecting to like the bread but surprisingly I did not just like it, I loved it! It is delicious, sweet-tasting, full flavored, and has a caramelly aroma that is almost chocolatey. There's a slight bitterness [IMHO] from the beer which I don't mind, sometimes I like bitter. The flavor of this bread is the perfect vessel for the chicken liver pate I made. I'm glad I decided not to skip baking this bread. It has the potential to become a favorite. The recipe is here or better yet, get the book, BREAD. Isn't it amazing what we end up trying and liking? I thought that it was a very slack bread as well, my scoring disappear while yours looks quite lovely.